Fracking company Cuadrilla has had to repeatedly address problems with the UK’s only hydraulically fracked gas well years after its operations at the site were suspended after causing earthquakes in Lancashire, emails obtained under FOI reveal. As recently as last summer, Cuadrilla had to take action to fix what engineers have described as a well integrity failure (though Cuadrilla denies this) at its Preese Hall site, in Lancashire, according to the emails revealed in response to an FOI request from Unearthed. In the emails, Cuadrilla appears to agree to put an additional cement plug on the well, despite the well having already been sealed up after its abandonment in 2013. A Cuadrilla spokesperson stressed that the well was securely plugged in November 2014, there was no leak of gas or any fluid from the well, and the integrity of the well was always secure since 2011. The news comes amid reports that the government is attempting to fast-track fracking by relaxing some regulations – which DECC has rebutted in a new statement – though new rules around ground water testing mean fracking in the UK won’t be allowed to begin until July 2016 at the earliest. Meanwhile, a council decision is due on whether to allow Cuadrilla to frack in Lancashire, again. 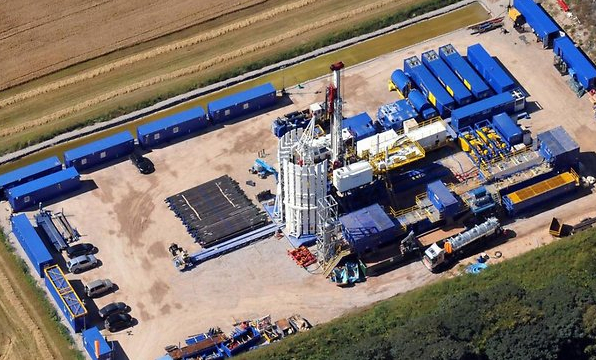 In 2011, the casing of a well drilled at the Preese Hall site was damaged by an earthquake in the area near Blackpool caused by Cuadrilla’s own drilling – forcing the firm to suspend its operations at the site. Well integrity failures can result in gas or fracking fluids leaking into the surrounding environment or into the well. In the case of Preese Hall, there was a gas leak inside the well but no evidence of a leak outside the well, according to previous disclosures. Cuadrilla was criticised by erstwhile energy minister Charles Hendry over its failure to “recognise the significance” of structural damage to its Preese Hall well in 2011, and failing to report to government officials for six months afterwards. Since the firm had to stop operations at the site, there have been several issues. Firstly, the well casing was deformed in the earthquakes. Secondly, “annular pressure” was detected, which means a buildup of pressure between the borehole casing and the well. The Health and Safety Executive (HSE) – the public body tasked with monitoring the safety of fracking sites – said the annular pressure was not or a high enough level to warrant reporting to the agency. Prior to this, in order to seal the well when it was abandoned in December 2012, “cement was inserted into the production casing and a steel bridge plug inserted above the cement”. “It is not unusual to have flow from an intermediate formation (Kinder Scout in this case) cause cementing problems and annular flows, nor is it unusual for normal plugging activities to fail to stop such flows,” he added. Engineering expert and vocal anti-fracking campaigner, Mike Hill, said that once you have annular pressure “you do not know – and cannot be sure of [whether] the well has leaked or not.” The HSE say there has been no such leak. Hill said he was concerned that the annular pressure was only discovered in March 2014, three years after the well was damaged in 2011. “In line with our planning permission the Preese Hall well was securely plugged in November 2014 without incident. The well has been plugged with cement in accordance with a well abandonment plan agreed with the Health & Safety Executive. The site was fully restored in April 2015,” a Cuadrilla spokesperson said. The HSE confirmed that Cuadrilla “agreed remedial action with HSE and this was implemented as part of the activity to seal and abandon the well” – and “continued to monitor the situation from a health and safety perspective throughout the decommissioning process”. The well was abandoned in such a way that there “can be no unplanned release of fluids from it, so far as is reasonably practicable, in accordance with industry standards”, the agency added. Correspondence between the HSE and the Department of Energy and Climate Change (DECC) last summer shows the Preese Hall situation caused the most senior civil servant working on fracking at DECC to get personally intervene – according to the most recent batch of emails on the subject. He also proposed a technical presentation on the issue of annular pressure from the HSE. The email exchange, as well as shedding light on Cuadrilla’s troubles with the Preese Hall well, also give an insight into the levels of frustration in the government about dealing with a stream of FOI requests from the public about fracking. Figueira seemed keen to have the meeting “once the present FoI and correspondence on Balcombe and Preese Hall respectively are out of the way”. Lancashire councillors are shortly due to decide whether to allow Cuadrilla to frack in the county again, after Lancashire County Council recommended the Little Plumpton site be approved and Roseacre Wood be refused.